When thinking about the time when neither digital signal processing nor individual stompboxes existed, I cannot help but think about the simplicity. You did not have any choices so you made what you had work. But then, you could not get as much versatility out of your sound and more often than not, things could get pretty boring. I guess sometimes you have to compromise simplicity and wreck your head about what to choose in order to receive mind-blowing results. And it all gets even more complicated when you have to decide what is better: multi-effects processors or single pedals. This battle has persisted for years and years now, but today we are going to look at the good and bad of both and try to find the winner. Let’s get started! The most distinctive feature of individual pedals is definitely their precision. Since you are tweaking a single effect with one unit, you have the ability to modify all of its parameters and nail it to perfection. This is especially important if you are someone who gigs a lot. Sometimes you go and set everything the way it should be, but end up in a venue that makes you sound like crap. In this case, you can always make simple adjustments on the fly and tailor your tone to the environment you are in. Easy, am I right? But when you are dealing with multi-effects processors, such adjustments are simply not feasible. When you have hundreds and hundreds of effects and amp modeling on-board, the easiest way to go is to assemble patches and presets. And changing the whole patch mid performance will take you too much time (you might as well finish your performance there). The other factor that differentiates multi-effects processors and single pedals is the sonic quality. This is a rather controversial statement but let me explain what I mean. When you invest in a high-end, well-made pedal, the chances are you will receive spectacular sound quality. The constituents of its circuitry will be meticulously put together and the outcome will be top-notch. The things are a bit different with multi-effects processors. When you have such diverse sonic options available, it is only natural that some of the quality will be compromised. 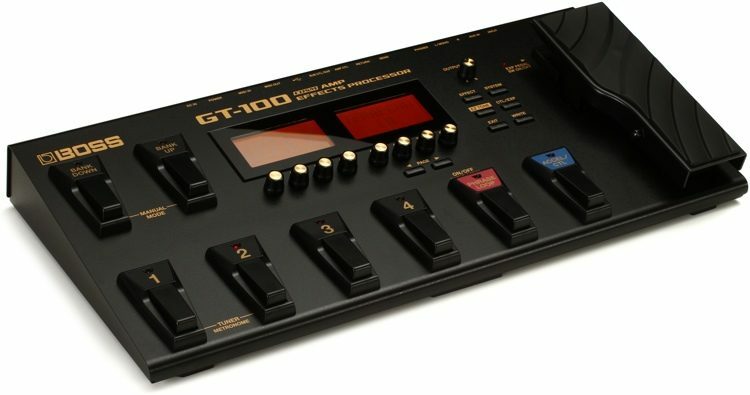 But if you have the budget to splurge and invest in a really nice multi-effects processor, the scope of this issue will be dragged to minimum. Now, if one of your pedals breaks on you during an important performance, you can just remove it from the chain and work around the rest of the stompboxes. The sound will not be exactly what you expected, but you will not have stop playing just because of that. You would still be able to rock your existence. But when it comes to the multi-effects processors, god forbid it breaks down. If your performance relied on those effects, you would be screwed. And ultimately, you will have to purchase the whole new thing and start from the beginning. And let’s not forget that individual stompboxes are extremely easy to configure. The majority of them does not even require manual, since they can be figured out practically. You have couple of knobs and that is it. But things are not that user-friendly with multi-effects processors. It is high-likely that you will have to spend hours scrutinizing the manual and then couple more to perform all the actions on the processor itself. There are couple more advantages to the individual pedals, but I think you already get the idea of what I am trying to say. 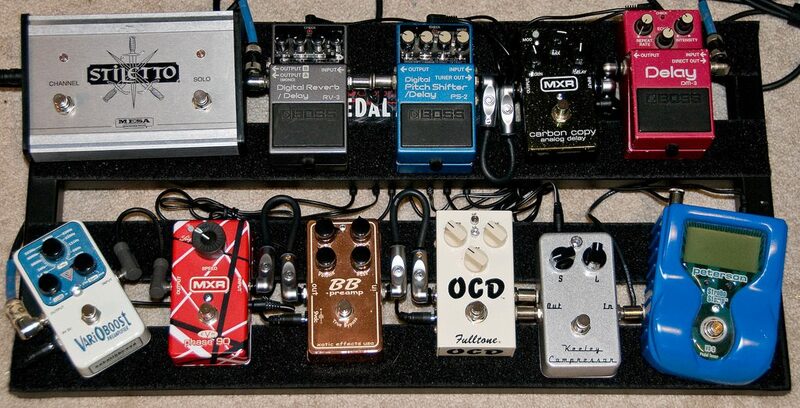 Individual pedals have the qualities that could outweigh multi-effects processors in many scenarios. First things first, no matter how much a decent multi-effects processor will cost you, it will still be cheaper than a pedalboard. This will not be true for those who utilize only a single pedal in their rig but they would not consider multi-effects either. Anyway, with processors, you will need only one cable and that is it. But when it comes to the individual pedals, the cost of stompboxes themselves, the pedalboard and cables add up interminably. And as you keep adding more and more effects, you end up with expenses that you would not expect initially. Multi-effects are also life-savers for the beginners. When you are just starting out and have no idea which effects suit your performance, these devices can be ultimate answer. Since they offer so many sonic variation, you will get the idea of what is what about the majority of the effects. And then you can buy your individual pedals. This way you can save up a lot of money spent on the effects stompboxes that you will never utilize in your music. Needless to say, multi-effects processors are way more versatile than the individual pedals. You have a single effect versus hundreds, everything is extremely obvious here. But more importantly, with multi-effects processors, you will not have to go through every single unit and cable if something gives out. Plus, they are portable and take up very little space. In terms of convenience, multi-effects processors cannot be beaten. To round up this battle, I will just say that each of these devices has its own purpose and scenario. Both work perfectly if you have right expectations and have considered all your preferences carefully. Whether you pick out multi-effects processor or individual pedals is completely up to you. My job was to provide you with the list of advantages and disadvantages so that you can make final judgement yourself. No matter what you choose, I am sure you will rock any stage you step on. Good luck!